Premier Prints Togo Luna Silver home decorating fabric. 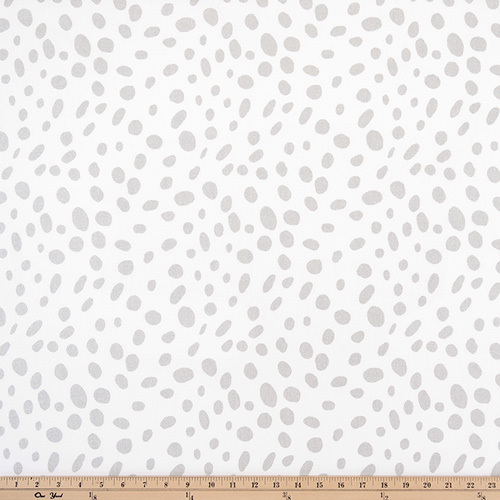 Dalmatian spots in metallic silver on a white background. Suitable for drapery, decorative pillow covers, headboards, crafting or light upholstery.